The Artic Pain Management is our pick for the best ice machine for knee, which can be great for local cold therapy and can give relief to joints and muscles. It is very effective and easy to use and it is lightweight and portable. Our step-up pick is the Kit Cold Rush and it can also help your joints to feel relieved. It comes with a knee pad and can cover a person’s leg part easily. It can give you continuous cold therapy and can be great for those with surgery recovery problems. The budget pick is the Aircast Cryo Cuff and this one also comes with a knee pad. It is not motorized and it is great for resolving tissue damage using cryotherapy. It can be used for recovery, sports injury, rehabilitation and other pains. Knee pain can be very excruciating, and can have a number of reasons why it can happen to you. It is a matter of survival for most people who try to bear the pain. This kind of pain can halt you from doing daily activities such as walking and running. It can affect your job or school activities as well as other things that you are normally doing. There are many remedies that are available out there for painful knees and they are easily accessible. Ice packs are the most traditional way of healing an injured knee. The objective is to put a cold and soothing sensation to the knee that is usually swelling due to the injury and the pain. Similar to how you would treat a fever with an ice pack, the same concept is applied to help calm the part of the body that is injured, so that it will help itself regenerate and heal faster so you can do other things later on free from injury. Nowadays, special ice machines for knees can be bought so that it can automatically generate ice for your knee area. These machines are innovative because they don't have to depend on you to keep supplying the ice source for the knee injury to subside. They can be a little costly but they are important for teams and athletes who exercise or play sports on a daily or weekly basis. It is important that if you are an athlete, you should consider getting enough rest and don't play too hard for your sport if you are tired. Break times and resting times are just as important as your workout or intense periods. This is because the way your body recovers determines how strong you will be able to keep up and keep your body up and running in good condition. Knee injuries may also be the result of a workout program that is too intense for you. Make sure that you don't overdo any physical activity and you should also base it from factors such as your age, health condition, gender and other things. Anyone can do anything if they put their mind to it, but going beyond your limits will make it harder for you to go on later because of a really bad injury. Do know that to avoid injuries for your knee later on, don't overdo exercises that mainly involve your legs and knees, such as cycling or running. Some older people are more prone to arthritis, muscle pains and joint pains. This is why you may also need to take into consideration a good workout that is much better for your state of health so that you won't get injured later on. Size of pack included: the size can vary depending on the size of your legs. It can also be adjusted at times and can vary depending on your needs. The pack should be made with a good size so that it will neither be too short nor too long for you to wear around your knees. Keep in mind that all people have different knee sizes so it pays to know about this criteria first. Capacity of ice making: you also have to know how much ice will the machine be making in the long run or at a given time. More ice means more power consumed, so be wary of this. However, more ice means that you can use it for a longer period of time and it can also be used by other people who are injured on their knees. Intended type of knee pain: there can be many types and causes of knee pain, one of which is due to athletic reasons or due to a rough sport or physical activity. Either you got hit by someone or something during the game or you overused your legs too much and this took its toll on your knees. Some also have other reasons like joint pains or day to day accidents like falling off the stairs, slipping and the like. Ease of usage and directions: you need to consider one that has good user instructions so that it will be easier to use for anyone. It is a kind of product that will be used for emergencies and therefore, it should be simple and straightforward in its controls to avoid hassle in using it. 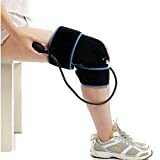 Use for other parts of the body: do consider a knee machine that makes ice for the rest of your body for the likelihood of injuries, such as your arms and elbows as well. It would be awesome to have a multipurpose tool so that you can use it for many other injuries you could possibly have in emergency situations. Warranty policies: the warranty policy should be just right with enough period for you to return it when something goes wrong beyond your control. It should indicate which parts are covered by the warranty policy and should have contact details on where to get the warranty. As our top pick, the Artic Pain Management has a pad size of 13 x 24 inches and comes with this included pad. It is very portable and lightweight to carry so you can use it almost anywhere without a lot of worry. It cannot be easily interrupted due to the continuous system that is employed in its design as an ice making machine. 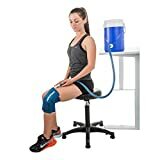 Great for local cold therapy for injuries and the like, the machine can be used for joint and muscle pain as well as other pain relief needs. It is not too noisy so you can sleep even with its running course. You can also use it if you are recovering from any kind of surgery possible. The cold water can be maintained from 6 to 8 hours or so. There is also an inner pump and comes with great insulation. While not a deal breaker, the Artic Pain Management can be hard to find a pad for, but this is only a minor issue. The Kit Cold Rush is our step-up pick, which can be used for healthcare purposes or for injuries. It can provide you with continuous cold therapy for when you are injured or have swelling joints. It can also help those who have just gotten past surgery and the like, so that their body parts can potentially heal faster. It can also help those with joint pains and the like. If you have inflammation in your body then this is a great machine to have. It comes with the knee pad that is ready to use and it can run for up to 6 hours continuously. 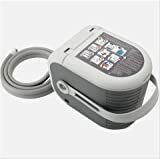 It can give you longer cooling times and it has a whisper quiet operation of only 30 dB so you can sleep soundly while you are using this kind of system to relieve your joints from pain. The Aircast Cryo Cuff is our budget pick, which can be used for cryotherapy or using ice to recover your joints and muscles. It can be used for sports and physical activities that are too intense in which you will require something to fill your injury with. It is great for pain management as well as for recovery in any kind of surgery out there. You can also reduce the risk of tissue damage with this kind of portable and handy system. It has a universal fit so it can fit most people and it can also be worn on either leg. It can also help you recover from hemarthrosis and other similar injuries. It is not motorized but it can keep cold water for long hours for your needs. For joint pains, we think that the Ossur Device USA is a great pick because it can definitely help your joint pains to feel at ease. It can also be used for surgery recovery as well as other inflammations in your body. It is continuous so it can be used for a longer period of time without having to refill it again with ice or cold water. It has a whisper quiet operation at 30 dB so that you can use it even when you are sleeping. It can operate for up to 6 hours and it only weighs 4.6 lbs so it is quite portable. It is great for compression and cooling therapy and it has a locking lid so that you can take it with you wherever you go and not have to worry about spillage and leaking. The Polar Products Active works well for various parts of the body, other than your knees and legs, such as your elbows, limbs, calves, back, ankles and shoulders. It is very comfortable to use because of everything you need to get started already installed in the system. It is a nice ice making therapy system that runs quietly for you to get enough rest along the way. The high efficiency pump ensures that the cooling capability is not diminished all throughout the usage. It only weighs 5.5 lbs so it is very portable to carry. 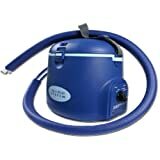 It has a timer for up to 30 minutes and its cooling capacity is up to 9 quarts. Its elastic belt spans up to 44 inches and its bladder is a u-shaped design. It is backed by a warranty of 6 months. The ARS Aqua Relief can give relief to your hands and feet, as well as on sore muscles and joints. It comes with connections for booties or a therapy pad and has an intuitively designed cooler hose. 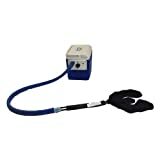 It can also be used for diabetic patients and it comes with hose couplings. It has a universal therapy pad so it can be used with any kind situation and any part of the body. It brings great pain relief and it only weighs 5.7 lbs so it is not too heavy to carry around. The tubes have a range of about 4 feet and the HCPCS code of the cold pad is E0218. It can also be used in hospitals as well as establishments requiring treatment for various body pains. It can also help athletes as well as those who regularly exercise. The Game Ready FAB13-2500 is great for athletes and comes as a control unit, which includes an AC adapter as well as hose for connecting, which spans up to 6 feet of length. It has a weight of 8 lbs so it is more ideal for stationary team spots where you need a lot of power in order to give support and ice therapy to injuries. It is a great cold compression system that can be used not just for athletes, but also for those who are injured on their preferred physical activities. It uses pneumatic compression for its system and penetrates deep into the skin and muscles to repair tissues. If you want to contact the seller for warranty policies, call 800-431-2830. The Ossur B-232000010B-232000016 works not just for knees but also for your shoulders due to the inclusion of a shoulder pad. It can give you continuous cold therapy and it is also great for inflammations caused by injuries or for post-surgery recovery. If you have weak joints or injured joints and muscles, you can count on this kind of system. It is lightweight at only 4 lbs and it is quiet at only 30 dB. It can help you recover for longer hours because it can stay operational for up to 6 hours. It is more than just something that makes ice – it can definitely treat your body and joint pains. The Pain Soother Reusable comes with an air pump for ease of use when it comes down to making your knee injuries go away. It is temperature resistant so it will not get affected by outside factors. It can retain coldness for a very long time, which can lead to better pain management for your body parts. It can stay cold longer than 1 hour or so. It is also very simple to operate and has great coverage for most body parts, especially for your legs. It is greatly usable for sports injuries, muscle strains, physical activity sprains and the like. It has a one size fits all design so you can definitely use it without having to worry about sizing. 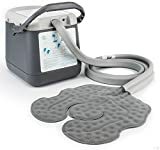 The SimplyJnJ Cold Therapy is a great choice for a portable system, which can be used for recovering after a surgery so that you can heal your body part much better. It comes with extra compression properties so that you can be able to use it with great ease to heal your body part. It can also be used for patients who have arthritis as well as other foot and leg injuries. It can also be used for those with sprains and strains, as well as those with inflammation in their leg parts. It comes with a ready to use ice pack and it has a coverage of up to 24 inches. It can have a great fit for most people due to the universal size and it allows for longer times of treatment due to the retention of the ice. There were others that were not in this list because they lacked in decent instructions on how to use them, and also did not generate a good amount of ice to help cool down a person's injured knee. Q: What are the different causes of leg part injuries? 1. Patellar dislocation – also known as a dislocated leg part cap, this pain is caused by the leg part cap sliding out of the original position of where it is supposed to be. It is only diagnosed by an expert but it can be really painful and may cause swelling and leg part pain that is excruciatingly painful. 2. Bursitis – also called the preacher’s leg part, this kind of leg part injury cause is due to bursa, a kind of sac that helps the joints move without the friction, and is usually found above the joints and under your skin. The problem comes to motion if the bursa is irritated because of overusing and repetitive leg partling, bending and other motions done by the leg part. 3. Meniscal tear – this is caused by the ripping of the cartilage which can cause swelling and really terrible pain. The problem with this kind of tearing is that the joint suffers with the rough edges, which has the catching sensation if they are doing any kind of sport or physical activity. 4. IT band syndrome – also known as the iliotibial syndrome, it happens when you overdo your physical activity. Inflammation happens in the iliotibial band, which is the part of the inner parts of your hips that go up to your leg parts, and is a kind of tough tissue. It happens during running activities, as well as those that are going downwards in their training course due to the pressure by gravity to the iliotibial band. 5. Osgood-Schlatter disease – it can affect teenagers at most, and can get worse with time if it is not treated properly. It comes when you overdo your physical activity, such as exercise, and it comes from the irritation of the tibial tubercle, which causes the pain at the bottom of a person’s leg part. It can also happen if there is a bump on the leg parts due to the leg partcap and tendon connection being irritated. 6. Osteoarthritis – this is commonly found on seniors but anyone can have them if they work on too much exercises or physical activities. People who are above 50 years old are more likely to catch this kind of disease, but anyone with an active lifestyle can have them. Stiffness of the joint can also occur along with the joint pain. 7. Jumper’s leg part – this is due to excessive jumping, and is also called patellar tendinitis. It is connected to the shinbone and the leg part cap and is caused by some sort of inflammation or soreness. The tendons also play a part in this kind of condition and it can be very excruciating if you often do jumping exercises. 8. Patellofemoral pain syndrome – this kind of pain is more commonly experienced by women compared to men. It is characterized by muscle tightness as well as lack of balance and alignment on your legs. It can also be related to buckling sensations in the legs and it usually means that your legs won’t be able to support you that easily. The leg parts get weaker in this kind of syndrome and it is not commonly caused by injury. Q: What are the signs and symptoms that you should call your doctor if you have leg part injury or pain? This is when you cannot easily move your legs due to some sort of fatigue or the inability to move due to some excruciating pain. In addition to your leg pain, it is also inevitable if you have fever which can be very terrible. This means that there is some deformity in your leg part and that it does not look normal. It is inevitable that when your joint pains occur, you will be unable to flex it normally. It will also most likely swell if it is painful. If you find that you are unable to bear the pain on your leg part, then you should definitely seek the help of a professional on the matter. Q: Which exercises are low impact to the leg parts? Walking is low impact and can help you lose weight over time. It can be less stressful to the leg parts, especially for a reclined position. It uses more of your arms rather than your legs so it is a great exercise to do. It is much like swimming because the movements are more forgiving for your legs. This is a bit similar to cycling so it is also safe. Q: Which sports are low impact to the leg parts? 1. Swimming – you will mostly use your arms in this sport. Swimming is a fun activity and can also be a great life skill if you need to save someone else’s life. 2. Rowing – you will mostly use your upper legs instead of your leg parts. Because rowing a boat, a canoe or a kayak means that your legs will be mostly tucked onto your boat, that means it is safe. 3. Cycling – it puts less strain on your leg parts, especially for a reclined one. Cycling is a great activity that can help you meet more people along the way and is a great traveling vehicle as well. 4. Wheelchair sports – for those who are sitting on a wheelchair, there can be sports for you. There can be many Olympic sports that are meant for wheelchair users so you should take advantage of it. Q: How does cold help injuries? A: Cold packs can help in sports because they can help with decreasing the blood flow on the area. The cold should not be on the skin directly so that the person who is injured will not suffer from frostbite. The ideal time to apply the cold pack is from 15 to 20 minutes depending on the severity of the injury, but it is a great way to help reduce the inflammation that is caused by the injury itself. Q: What temperature should be set for icing injuries? A: The best setting temperature for when you are icing injuries is from 1.7 to 3.5 degrees Celsius or as much as 9 degrees Celsius, depending on the severity of the injury. Keep in mind that there should be some break times to avoid frostbite for the person who is injured. Q: What is the R.I.C.E. acronym and what does it stand for? A proper resting period must be maintained by the person so that his or her leg parts will not be strained too much. From an injury, resting is the first step because this can help decrease the pain, continue the healing process and prevent any other kind of injury from happening much later on. This is the part that is very important. To help limit the internal bleeding and ultimately stop it from coming out, cold is added to keep your inflamed area cooled down. It depends on the severity of the injury on how much cold you need to put. But generally, a 15-minute interval is recommended. This is the part where you will have to put some bandage over your body part, such as your leg parts, so that it will not get too much stress when you try to move it, or if there is still bleeding that is going on. Bandage such as elasticized bandage is important for most injuries to reduce pain. The injured part should be raised or elevated above the level of the heart. This can also help to reduce the inflammation of the injury. You can also add pillows or any other solid object while you are resting from the injury. A reclining chair can also help with this kind of activity to increase your chances of getting better sooner. Q: How do you protect your leg parts? 1. Do exercises that work all of the muscles. 2. Lose some weight to make carrying your weight easier. 3.Use cold for leg part inflammation or injury. 4. Don’t go for sports that aren’t leg part-friendly. 5. Keep the rotation of your leg parts and hips to a minimum. 6. Take extra precaution when running uphill and downhill. 7. Go for cross training but with light to moderate leg part exercises. 8. Add a leg part brace if your sport is very dangerous. A: Cryotherapy is a kind of therapy that makes the use of cold to help regenerate your body and heal over time. It has been a method that has been used for years although only in experimental parts. Today, the concept is still being used for injuries so that your cells and tissues would repair faster, allowing you to recover from your injury much easier than before. Q: What are the benefits of cryotherapy? 1. It helps alleviate the pain from your muscles. 2. It might aid in weight loss. 3. You can reduce any kind of inflammation in the body. 4. It can prevent or slow down dementia in the elderly. 5. Some studies show it can slow down cancer. 6. It may also help reduce the risks of anxiety and depression. 7. Those with eczema can also feel better with it. 8. Headaches and migraine can be treated with it. Q: How can runners take good care of their leg parts? 1. Go for an ITB stretch. 2. Go for a strengthening exercise for your quadriceps. 3. Always follow the R.I.C.E. procedure if you feel pain on your leg parts. 4. Go for anti-inflammatory medicine if it gets worse. 5. Supplements that have glucosamine-chondroitin or simply glucosamine can help with bad leg parts. 6. Continue with cross training but with subtle exercises that are leg part-friendly. 7. If you run courses uphill and downhill, it’s best to avoid that for 1 month if you have leg part injury. Q: When should you rest when you're tired in a workout or sport? 1. You got injured – if you have gotten injured for, let’s say, a basketball game, then it is without question that you should take a rest for a while. If you accidentally hit your toes while running on the treadmill then you should definitely take it easy. If you think that your leg parts are hitting up on arthritis then you can just call it a day. You obviously can’t surpass your limits if your body is in pain. 2. You have lack of sleep and concentration – if you don’t get enough sleep then that can definitely affect your performance when it comes down to gym and sports. Most workouts aren’t just about physical skills, but also about mental skills, so that you don’t mess up, such as with cycling or other sports. If you find that your sleeping schedule is lacking due to your job or school, consider moderate exercise instead to avoid over fatigue and possibly fainting. 3. Any of your muscles or joints feel stiff and hurt – do remember that everyone has limits. Injuries can worsen if you let them loose. If your feet or leg parts are too tired from running on the treadmill and you can feel a burning sensation on your feet or shoes then it may be time to pack up. Even if you don’t feel tired but your muscles are aching like hell, then it is ideal to rest for a while. Q: What exercises can I do to improve the health and endurance of my leg parts? 1. Lie on the floor with your back. 2. Keep one leg part bended in place. 3. Place the foot of the leg part flat on the floor. 4. Raise your other leg up to the other leg part’s height, or as much as you can. 5. Do 10 to 15 reps up to 3 sets. 1. Stand while holding to a chair, table or rail. 2. Lift one leg backwards to your buttocks. 3. Do the other leg and do 3 sets of 15 reps.
4. You can also do this by lying flat on your stomach while raising your hamstrings. 5. Optionally, add ankle weights for an extra challenge to your workout. 1. Stand on a supportive chair, couch, rail or table you can lean on. 2. Slowly raise your heels as much as possible. 3. Slowly lower your heels afterwards. 5. Optionally, do one foot at a time for balance training. 1. Lie on one side with legs together. 2. One leg should be bended backwards. 3. Make the other leg straight. 4. Raise the straight leg to an angle of 45 degrees. 5. Hold the straight leg for up to 5 seconds. 6. Lower the straight leg. 7. Make 10 to 15 reps and switch to the other leg. 8. If you can, try pointing your raised leg toe to the floor. 1. Lie on your stomach and keep your legs straight as possible. 2. Lift one leg to the ceiling with your bottom muscles tightened. 3. Hold for 3 to 5 seconds. 5. Repeat for 10 to 15 reps.
6. Do the same for the other leg. 7. Add ankle weights for a challenge. 1. Find a wall or anything you can lean your back on completely. 2. Lean on it with your back while bending your leg parts like sitting. 3. Hold this position for 5 to 10 seconds. 4. Lengthen the amount of time if you find it easier later on. 1. Get a raised platform, such as a bench, stairs or anything else. 2. Get on the step using one leg part bent. 3. Get off the step and use the other leg next. 4. Repeat for 10 to 15 reps.
5. Consider raising the step if you find it easy. 1. This make use of a leg press system. 2. Sit comfortably with your feet on the footplate. 3. Push the plate away with your feet to extend your legs. Q: Why do women tend to have more leg part injuries than men? A: This is because of the anatomy of a woman, which is different from a man. The anatomy comes down to the size of their pelvis as well as the construction of the thigh bones, making leg part injuries much more common due to that. In addition to that, the muscles of women, in general, are made to be weaker than men’s, hence they may not be that good in masculine sports, but that doesn’t mean they can’t do it! Q: What are the do’s and don’ts of leg part injuries? 1. Do exercise with weight training, flexibility exercises, cardio, swimming, walking and the like. 2. Do use the R.I.C.E. or rest, cold, compression, and elevation method when you are injured. 3. Do go for acupuncture if your joints are in deep pain. 4. Do choose the right shoes and socks. 5. Do consult a doctor or physician with what is the best solution for your problem. 1. Don’t feel shy with walking aids for when you are really injured. 2. Don’t keep too much weight to avoid stressing your leg parts. 3. Don’t forget to use handrails on staircases to avoid falling. 4. Don’t forget to use a sturdy ladder for reaching high places. 5. Don’t rest too much to avoid weaker muscles later on. Q: What are some misconceptions about leg part replacements? 1. “Leg part surgery can take time.” Sometimes, leg part injuries get worse and harder to repair if you prolong the time of waiting. 2. “Only younger folks can have a leg part replacement surgery.” Not true, even those 60 years of age or older can have leg part replacement surgery. 3. “You need to lose weight first before leg part replacement surgery.” Not always the case, because you can always lose weight later on after the surgery because you can move better. Q: How do you take good care of your leg parts when deadlifting? 1. Make sure you have a proper position, in which the bar is on the body over the feet in the middle. 2. When you lean forward and begin squatting, make sure your spine position is rigid. 3. When you ascend with the deadlift, the hips and shoulders should go up simultaneously. Q: If I have leg part osteoarthritis, which foods should I eat? Q: What should arthritis patients eat so that they can feel less painful? Q: Which foods can help make your joints healthier? In the long run, we think that the Artic Pain Management is our pick for the best ice machine for knee due to the cold retention, lightweight design and its ease of usage as a system that can induce cold therapy to anyone who is injured.